Ask any call center manager and they will tell you that each day they strive to maintain a high level of customer service and answer calls in an efficient manner. 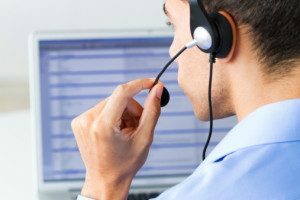 In order to do this, however, it is important to discover what the key performance indicators (KPIs) are for your call center to improve operations and increase your organization’s profits. One of the top KPIs for operations is the rate at which calls are abandoned; for example, look at the number of callers who hang up before they reach an agent. If callers are waiting an inordinately long time for a call, they’re going to disconnect before the issues are resolved. This can have a huge impact on customer satisfaction and retention. How many calls do your agents answer within a specific period of time? It is imperative for managers to track this KPI thoroughly as it measures how quickly queries are being answered, as well as how soon your agents can deal with customer inquiries. What is the amount of time a caller spends in the queue? How long does the agent’s phone ring before they answer the call? This is an excellent way to measure how efficient your team is and how accessible they are to customers. Remember—how your agents respond to customers can either lead to long-term customer satisfaction or abandonment. Another top KPI is the percentage of calls that are blocked—these calls may go unanswered because your agents are busy or because your software cannot handle a high percentage of calls. This is a key way for your organization to lose customers due frustrations from waiting. 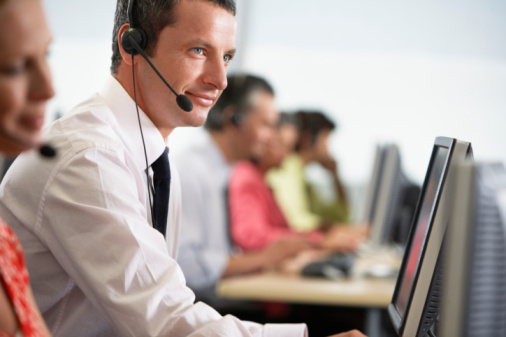 Your agents will likely want to resolve customer issues as quickly as possible. Analyze how long it takes between the time your agent answers a call and when they disconnect. If an agent is spending a long time on a call, this could eventually lead to customer dissatisfaction. Research shows that for every one percent improvement in first call resolution, you’ll see a one percent improvement in customer satisfaction and retention. Your agents should strive to resolve the call when the customer first calls in, so there is no need for follow-up calls or for the call getting transferred to another agent. This can result in lower costs and improved agent and customer satisfaction. A call center agent can’t perform if he or she isn’t there. Looking into how many days agents are absent and the reasons for those absences are definitely important KPIs for the entire call center. Agent absenteeism can impact bottom line if it is not properly accounted for. This measure is used to gauge how long an agent is on a call along with how long they are working on tasks associated with that call. This is usually a strong KPI, but managers should take an agent’s workload into consideration before making any final judgements. This refers to the number of calls answered over a specific time period, usually measured in seconds. Agents and their managers can both see this KPI in real time, which helps for more accurate predictions and expectations. This matters above all. There are a few ways to go about obtaining KPIs for this metric. Sending out surveys is one way. Another effective means is through quality assurance measures. In either case, obtaining accurate information on customer satisfaction is necessary. 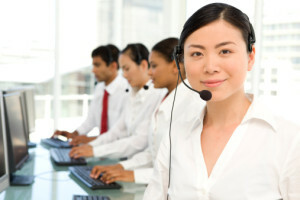 It’s important for all call centers to measure the quality of their calls. Not only is this crucial for determining whether or not agents are working effectively, it ensures that all compliance is being met. Call quality also has a direct link to customer satisfaction. This is a cost metric that should be enforced regularly. Call centers that are used primarily for customer service may not put this KPI high on their list. But if you are a call center engaged in sales or lead generation, then measuring this KPI is crucial. Although this may be a difficult metric to improve, it still should be measured vigorously. Knowing how many live calls your agents are engaged in throughout the day is the basis for many other metrics. With customers ignoring calls or sending calls directly to their answering machines, however, it can be tough to find strategies to increase this KPI. As the leading provider of outsourced call center services, 3C Contact Services works closely with its partners to find the top KPIs for sales and operations. We show our partners how to capitalize on factors that work and eliminate what doesn’t. For more information, contact us today.